We are born conquerors, victory is our birthright. But often something stands in our way causing us to lose sight of that. Not an opponent, not the trainer, not the workout even, but fear. We let fear sideline us, fear of failure, fear of rejection, and even fear of success can keep us from being who God called us to be. It’s quite possible that fear is making it tough to start your fitness journey. 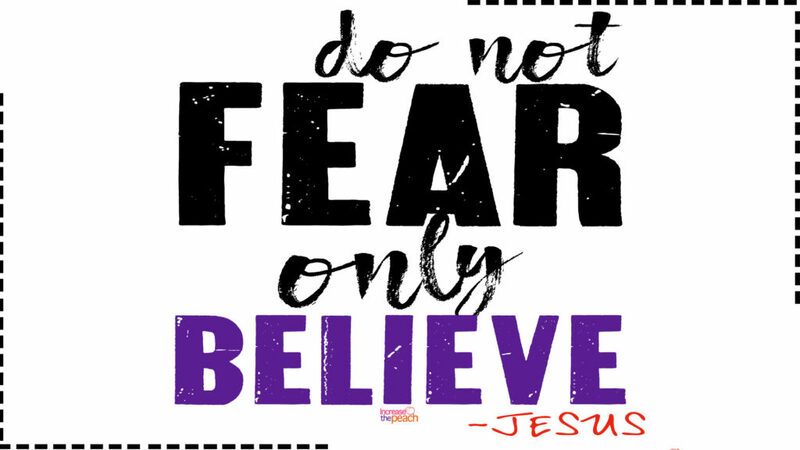 Did you know that there are over 75 times in the Bible where God encourages us to not fear and be encouraged? “I have said these things to you, that in me you may have peace. In the world you will have tribulation. But take heart; I have overcome the world. We were never promised as Christians that this life would be easy, however, we have the confidence in knowing that victory is already promised. Our Father has been there, done that and then some and He’s written this love letter in which He say’s trust me no matter what you face, I got this. Then there are the times when the command is followed by “do not be discouraged.” What’s the opposite of “discouraged” … “encouraged,” and to be encouraged means to be filled with courage! Why should we be filled with courage? Because as Christians, the Lord is with us and in us. And He who is in us is greater than he who is in the world. With so many instances where we’re being told to not be afraid, it’s safe to say that this isn’t a suggestion, but a command an instruction on how to approach life. Need I remind you that obedience is better than sacrifice? So, what does this have to do with fitness Coach Chè? As a personal trainer, I’ve had a lot of conversations where clients are discouraged about their fitness. Trust me, I get it, being fit, getting fit, staying fit can be tough, frustrating even daunting. However, I do believe that we can all approach our health and fitness journeys with confidence and boldness no matter how tough the process can or might be. God wants us to live our best life and your best health is part of that. It’s human nature and God intimately knows each and every single one of us so it’s not any coincidence that He has given this command so many times throughout scripture. We need to be reminded constantly, hear it constantly have it inscribed in our hearts and minds. So today, my challenge to you (and myself) is to start believing it. Why? Well of course, if God is for us, who can be against us right? It will not always be easy, but it’s a choice that we have, so today choose to not allow fear and anxiety to control your life. Chose to constantly guard your heart and to focus your mind on what is true in the midst of uncertain times. This entry was posted in Faith and tagged Abba, Bible, Challenge, Christ, Encouraged, Faith, Father, Fear, Fitness, Jesus. Bookmark the permalink.